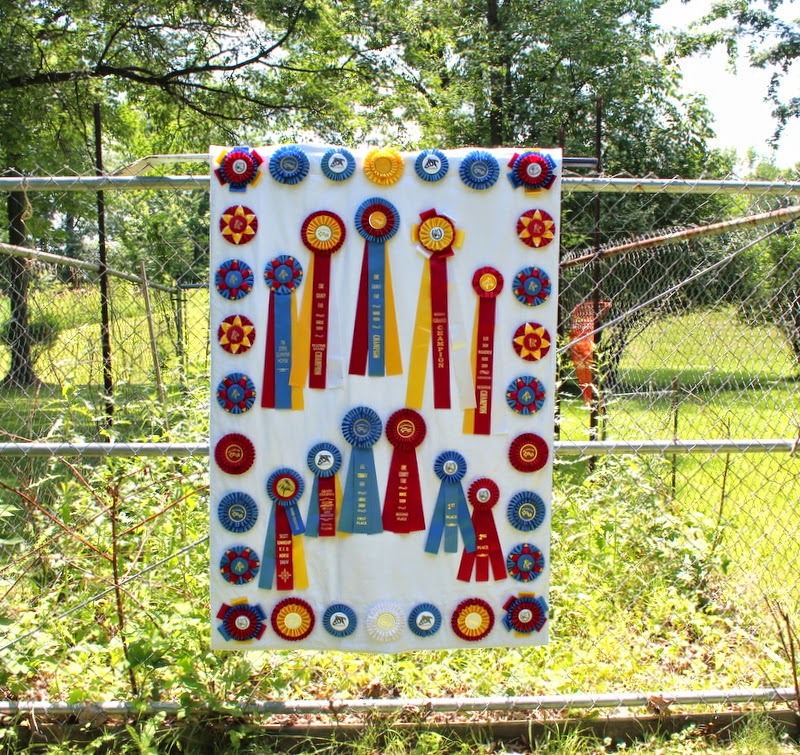 Thanks to a local customer, I got to create this horse show ribbon wall hanging! I have never worked with ribbons and buttons before, but found plenty of inspiration on Pinterest! 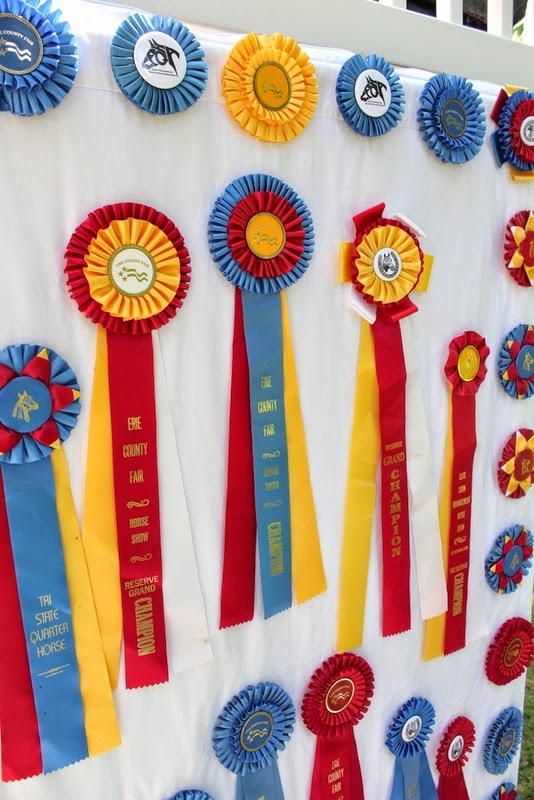 With the number of ribbons we had to work with, we decided we couldn’t create blocks with the ribbons. 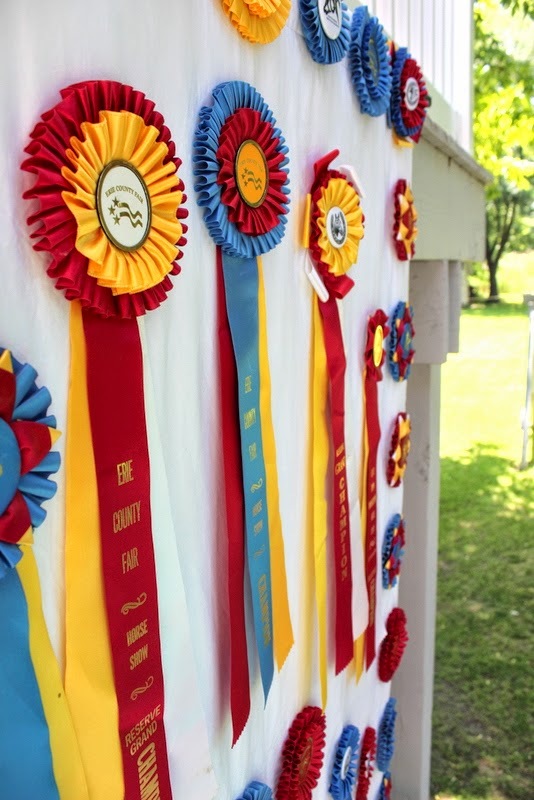 Instead, my customer wanted to display the ribbons with the ribbons hanging free. 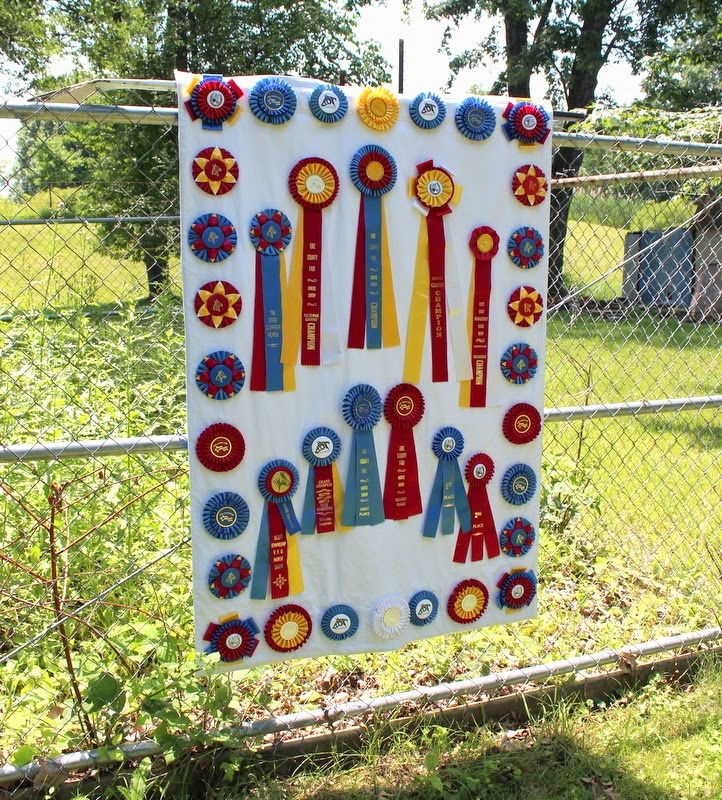 She also wanted a white background to set off the ribbons and we backed the wall hanging in royal blue. 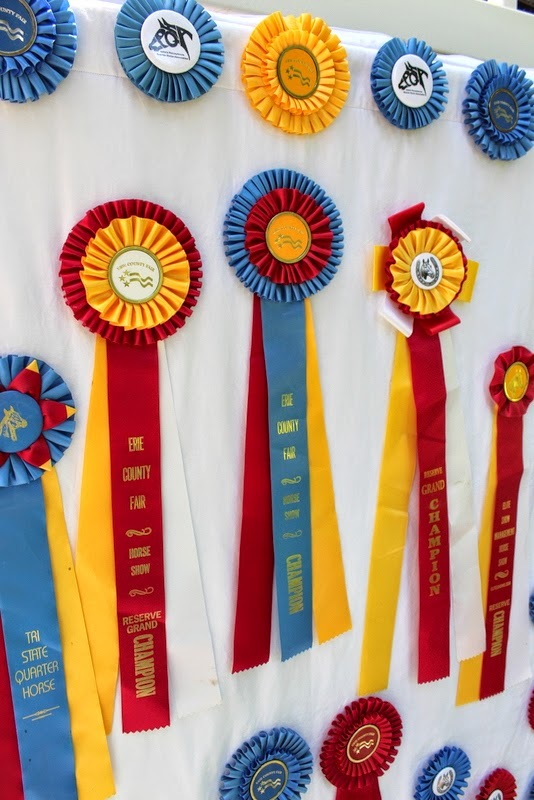 I tried to center and balance the ribbons in length, color and size. I took the remaining buttons and made a border around the perimeter. 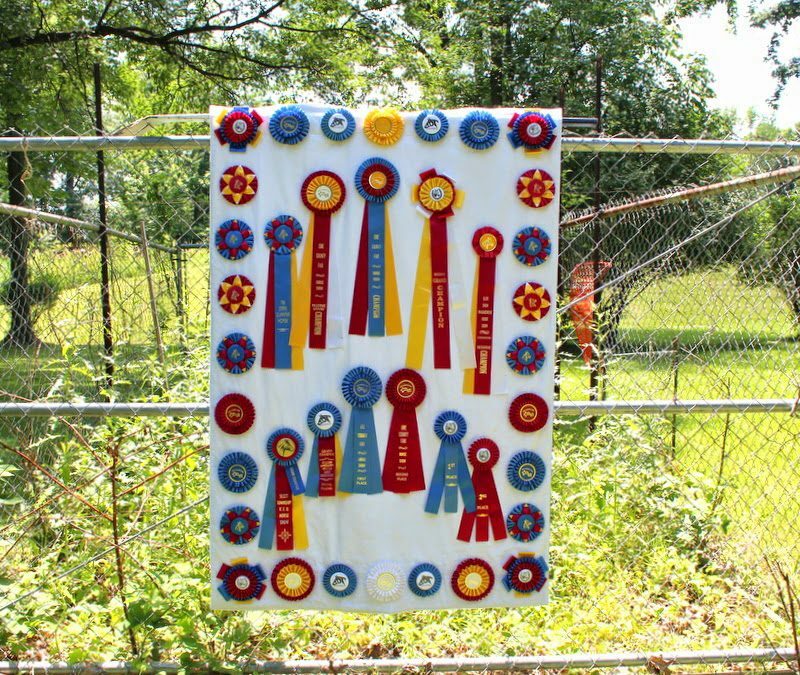 The wall hanging has a cotton batting and is stitched around the edges. 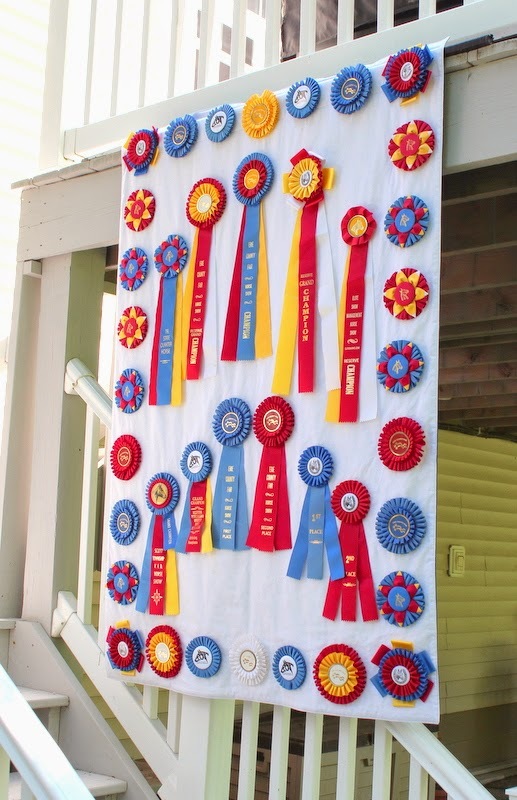 All the buttons and ribbons were tacked by machine in two spots, concealed as well as possible. I applied a rod pocket on the back as requested. 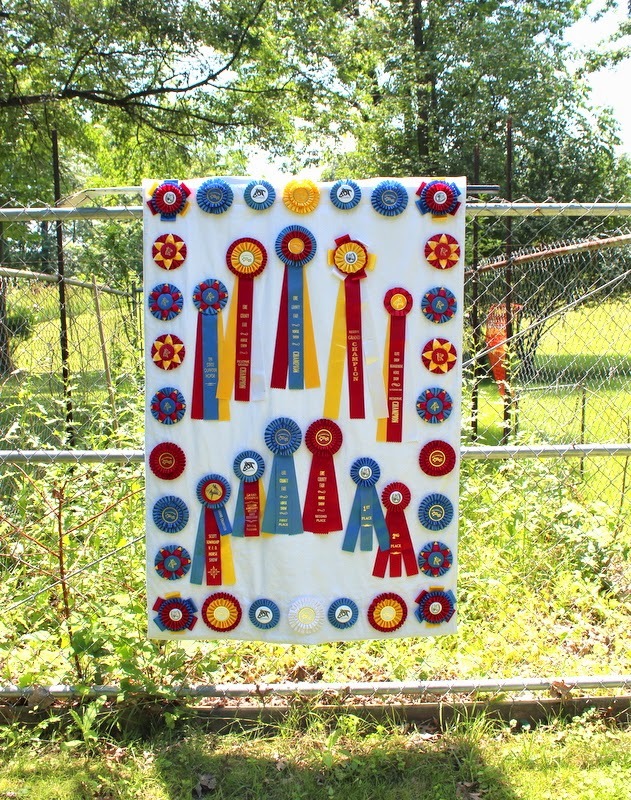 Follow Maiden Jane’s board Quilts on Pinterest. Follow Maiden Jane’s board Memory Items on Pinterest. 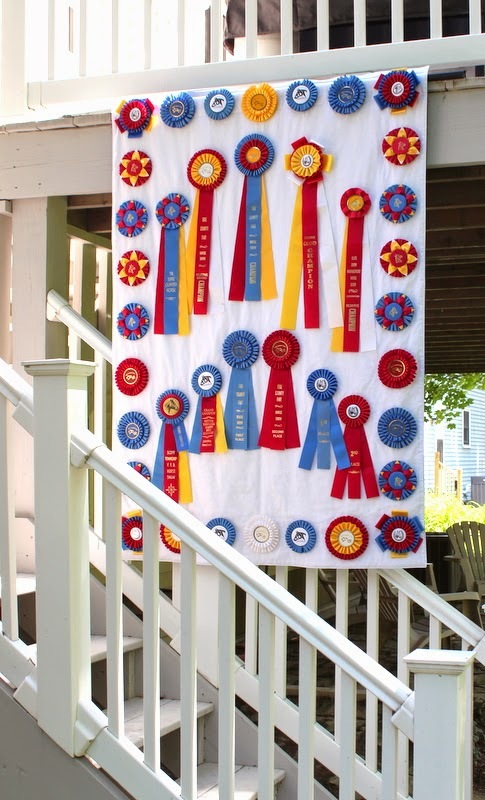 I have listed the Horse Show Ribbon Quilt on my Etsy shop with a basic price. I’d be happy to discuss any ideas you may have for me to create something unique for you.